Thomson Heating & Air Conditioning opened its doors as an independent heating and air conditioning contractor in 2005 when founder Josh Thomson decided to go out on his own. After years of serving the Southern California region as part of other successful outfits, it was time to reinvent the standard for excellent customer service. Today, Thomson A/C provides expert residential and commercial heating and a/c services including new installation, maintenance and tune-ups, system repair and money-saving homeowner assisted DIY+Help™ installations. 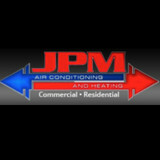 We will be honored to help you fix your broken heater or install a high efficiency A/C system. We are a different type of contractor. Simply put, we treat you like a friend. We do what we say and live up to our word. The end result is a very high end experience without any hassle. Generally, Oceanside HVAC contractors or HVAC technicians work with or run companies that repair or install heating systems and air conditioning units for homes. But they have specialized services too. For example, if you are a wine collector and you are thinking of installing a wine cellar in your Oceanside, CA home, you might hire a California HVAC professional who specializes in refrigeration work. HVAC professionals can use their skills to help you to save money on your Oceanside, CA home’s energy bills by installing radiant barriers in your attic or split-zone heating and cooling systems to heat rooms like solariums while cooling upstairs bedrooms during warmer temperatures. Find HVAC contractors on Houzz. Look in the Professionals section of our website and search for California HVAC contractors. 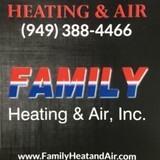 Read reviews and see how an HVAC contractor might approach your Oceanside, CA home’s heating and cooling challenges.